Today, I welcome Natalie Charles to MBB. Natalie is the winner of the Mills & Boon New Voices Competition in 2011. She's an attorney by profession, but she writes incredible romantic suspense. when she's not at her day job. Natalie lives in New England in the USA with her family. Her novel, THE SEVEN DAY TARGET, is an April 2013 release. Can you share briefly about your journey to publication? I have always loved to write, but I only started writing with a goal of publication after graduating from law school. I wrote short literary fiction for a few years and had some publishing success. Then I decided to write a romantic suspense novel. My first attempt was just awful. It took Harlequin less than a month to reject me -- form letter rejection, no less! -- and I received that letter in July, 2011. 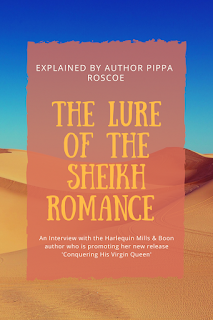 I decided to try again and entered Mills and Boon's 2011 New Voices competition in September of that year with a new story. My only hope was to grab an editor's interest, and I was shocked to win the competition and to receive the call in November. I still can't believe it. I work full time and take care of a toddler after that, so my only time to write is in the evening. I have a desk in an office that I never use. Instead, I prefer to sit on my living room couch with a cup of tea, prop up my feet, and write as much as I can before I collapse from exhaustion. If I can write 1 to 2k a night, I'm happy with that. When I'm out of the plotting phase and aggressively writing, I try to write 10k a week. After the book is finished, I edit like crazy. Do you prefer to plot or would you rather let the muse lead you? I'm a pantser, and part of what I love about writing is discovering stories I didn't consciously intend to write. However, I found when writing my second book that I would frequently get stuck or led astray by my muse, and there's nothing more frustrating than writing a chapter only to have to go back and cut it entirely. Therefore it's my New Year's resolution to start outlining. I'm not sure how that's going to go, quite honestly. Roman numerals make me shudder. More likely, my outlines will look like little books, and then I'll go back and fill in the details later. You know, pantser outlining. It will be an adventure! Can you sum up the essence of your book in just one Tweet sized sentence? FBI Agent Nick Foster must protect his ex-fiancee, Libby Andrews, from a killer who promises six signs over six days before killing her on the seventh -- even if it means putting his heart at risk. Thanks so much for coming over to talk to us. Can you share what's next for you? Love never dies, but can it kill? He never meant to speak to her again. Back in Arbor Falls for a funeral, Special Agent Nick Foster has moved on. He has no plans to stay in his tiny hometown—or to reunite with the beautiful Libby Andrews. His onetime fiancée broke his heart, and what's past should stay buried. There's a draw for a free copy of THE SEVEN DAY TARGET for one commenter and the winner will be announced on Thursday this week. But if you don't win, there's no need to miss out. The book is easily available at the buy links posted above. No need to miss out on Natalie's book. Hello again, bn100 - yes, I've read the book and I can assure you, it's intriguing all right. You have to check it out. Natalie gets more done in an evening than I do most days - and I don't have a toddler to care for. Please don't enter me in the draw - I've already read and enjoyed this one. Hi Patsy - over the weekend I noted a ton of tasks and emails for Monday morning - still not done. How does she do it? lovely to see you again. Thanks for coming over. Natalie is clearly a deserving winner, and good luck to her on her author's journey. The pitch sounds like a plot for a film...what hot young actors do we fancy for the lead? I loved reading Natalie's answers to your questions, Maria! 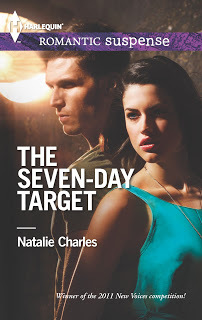 Congratulations Natalie on the release of your THE SEVEN DAY TARGET! Thanks Maria for hosting Natalie! I am blown by Natalie's schedule - a full time job, a toddler and creative writing too. Hats off! Your book is absolutely incredible and I could not put it down! Brilliant job and I highly recommend this read for all! Oh, my favorite question! So, I told the art department at Harlequin that my book was about Megan Fox and Tatum Channing. They got Megan Fox, for sure, but I'm thinking Nick looks a little more like Tom Cruise. No complaints! I would accept any number of hot actors to play Nick...as long as I was invited to casting. Hi Katherine, thanks for coming over. So glad you enjoyed Natalie's interview. thanks for coming. Always a pleasure to read your comments. But what do I do if you win the draw? No way of contacting you!!!! Yo Desere! Good to see you back again. I missed you. I loved the book too. Congrats Natalie! I can't help being a pantser but it often results in a lot of work later. Pantser outlining sounds good. Great interveiw. Always love to learn about the writing process of authors. Best of luck with your upcoming novles! How wonderful to win the competition! Thank you, Nick, for joining us and commenting. Welcome, Cherie. Good to see you. 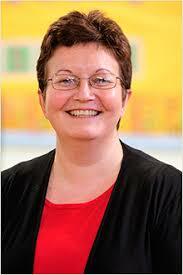 Yes, it's a great achievement, isn't it Lynda? Hi Maria and Natalie. Thank you Natalie for sharing a bit of your background. I'm always amazed at the different and diverse backgrounds and stories authors share with us. A great read... speaking of great reads... I have been lucky enough to read Seven Day Target, it's fan-tas-tic and I'd highly recommend it to anyone. I think it's my first "intrigue/suspensful" story I've read in this genre and I can 200% say it totally captured me till the very last page. hey Tash good to see you over here. Yes, it's a fab read. I'm still slightly wary of being alone in the house after reading it.